The Possible Woman Foundation will provide education, experience and opportunities for women to create a better world for herself, her family and the world around her. To provide scholarships for the women leaders of tomorrow, who pursue non-traditional roles and occupations, and to connect them with women mentors and trailblazers in these challenging and diverse careers. We have a commitment to follow through. We operate with honesty and integrity. We manage with responsible stewardship. We perform as a collaborative, ethical team. We follow our mission with compassion. 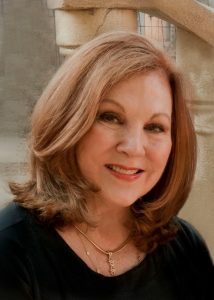 Linda Wind was President of Possible Woman Enterprises, a corporation committed to the personal and professional development of the business and executive women and career mothers. She founded the Possible Woman Foundation International, a non-profit 501c3 whose mission is to change the lives of women and girls globally through inclusive and collaborative leadership, integrity, and lifelong learning. Linda earned an MBA from the University of Dallas in Irving, Texas. Her career has included positions with IBM, Sharp Electronics, Pitney Bowes, Panasonic and AirTouch. Along the way, she earned many accolades and recognition including the Y Women’s in Careers Award, selected by Women’s Looking Ahead Magazine as one of the Top 100 most powerful and influential women business owners in Georgia, 2000 and 2001. She was a president of the Atlanta Women’s Network and was actively involved with the Georgia Commission on Women. She served on the boards of the Northside Hospital Foundation and Atlanta Women’s Alliance (founding member.) Linda was a member of The International Alliance, Atlanta Women in Business, Board of Directors Network, a graduate of Leadership Corpus Christi Class XV, Leadership Atlanta, Class of 1999 and a member of Leadership America, class of 2003. She was on the Advisory Board for the Georgia 100 Mentor Exchange Program. Her Possible Woman seminars and leadership conferences have been featured in several local and national publications including the Wall Street Journal. A few of the prestigious conference speakers were Benazin Bhutto, Geraldine Ferraro, Della Reese, Myrlie Evers, Elizabeth Edwards, Donna Brazile, Debbie Fields, and Erin Brockovich. Linda is survived by her husband, Charles W. Beall, PhD, Flower Mound, TX, son, Martin and wife, Victoria and two grandchildren Martin III and Charlotte. Frisco, TX.